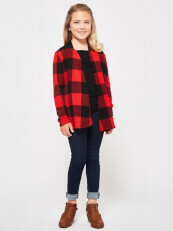 Bring on the plaid this Fall - I love it! This cardi is so soft and comfortable, I love the elbow details too! It's like wearing a big blanket. I will be wearing a lot of this through the Fall and Winter. It goes great with all my jeans and looks really good with my boots too!